Red army WWII shoulder boards. Officers of RKKA (Major, Lieutenant Colonel, Colonel) New condition. Comes without stars. Stars are optional (additional). ..
Red army WWII shoulder boards. Officers of Artilery & Tank forfe (Major, Lieutenant Colonel, Colonel) New condition. Comes without stars. Stars are optional (additional). ..
Red army WWII shoulder boards. Soviet officers (ensign, lieutenant, senior lieutenant, captain) New condition. Comes without stars. Stars are optional (additional). ..
Red army WWII shoulder boards. Officers of NKVD (Major, Lieutenant Colonel, Colonel) New condition. Comes without stars. Stars are optional (additional). ..
Red army WWII shoulder boards. Officers of NKVD (ensign, lieutenant, senior lieutenant, captain) New condition. Comes without stars. Stars are optional (additional). ..
Red army soldiers shoulder boards with patch Tank force. With an inscription CA (Soviet Army). New condition. ..
Red army WWII shoulder boards. Officers of Artilery & Tank force (ensign, lieutenant, senior lieutenant, captain) New condition. Comes without stars. Stars are optional (additional). ..
Red army WWII shoulder boards. Soviet officers (Major, Lieutenant Colonel, Colonel) New condition. Comes without stars. Stars are optional (additional). ..
Red army WWII shoulder boards. Officers of RKKA (ensign, lieutenant, senior lieutenant, captain) New condition. Comes without stars. Stars are optional (additional). 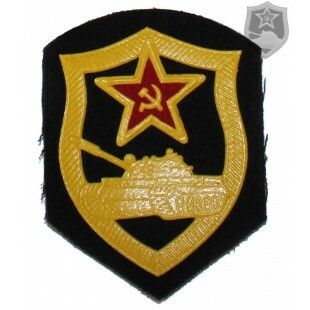 ..
Red army Tank force soldiers patch. New condition. ..
Red army soldiers shoulder boards with patch. With an inscription CA (Soviet Army). New condition. ..
Red army WWII shoulder boards. Officers of AVIATION (ensign, lieutenant, senior lieutenant, captain) New condition. Comes without stars. Stars are optional (additional). ..
Red army WWII shoulder boards. Officers of AVIATION (Major, Lieutenant Colonel, Colonel) New condition. Comes without stars. Stars are optional (additional). ..
New condition, original WWII metal collar tabs. Used by INFANTRY TROOPS of USSR Army. 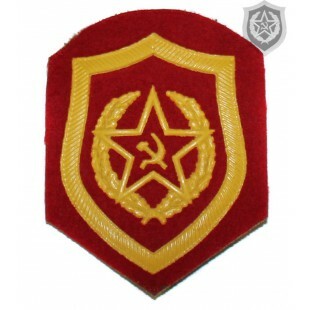 ..
Red army construction battalion soldiers patch. New condition. 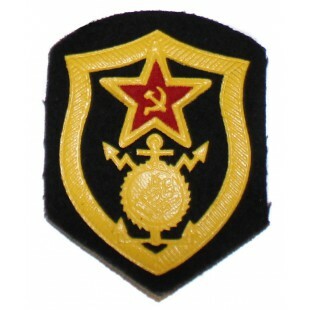 ..
Red army artillery force soldiers patch. New condition. 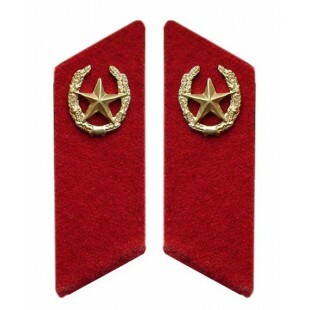 ..
Red army soldiers shoulder boards with patch VDV force. With an inscription CA (Soviet Army). New condition. 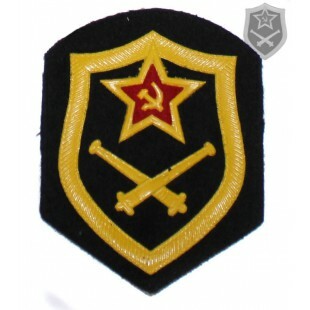 ..
Red army infantry soldiers patch. New condition. ..
Red army soldiers shoulder boards with patch Artillery force. With an inscription CA (Soviet Army). New condition. ..
Red army soldiers shoulder boards. With an inscription CA (Soviet Army). New condition. ..
Red black blue shoulder boards of Artilery & Tank troops. With an inscription CA (Soviet Army). New condition. 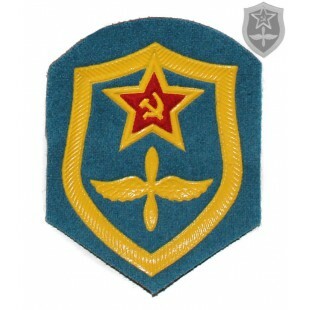 ..
Red army AVIATION force soldiers patch. New condition. ..
Red army soldiers shoulder boards with patch AVIATION force. With an inscription CA (Soviet Army). New condition. ..
Red army blue shoulder boards AIR force. With an inscription CA (Soviet Army). New condition. 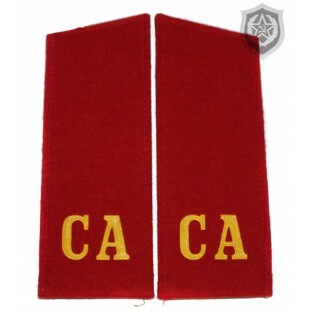 ..
Red army soldiers shoulder boards with patch construction battalion. With an inscription CA (Soviet Army). New condition. ..
Soviet Red army Russian military handmade AVIATION patch. Used on uniform from 1940 to 1943. New condition. ..